M.L. Farquhar age in unknown but he lived in the 1900's through at least the 1950's. During the 1950's, and perhaps for a much longer period, he lived in Glendora, California. 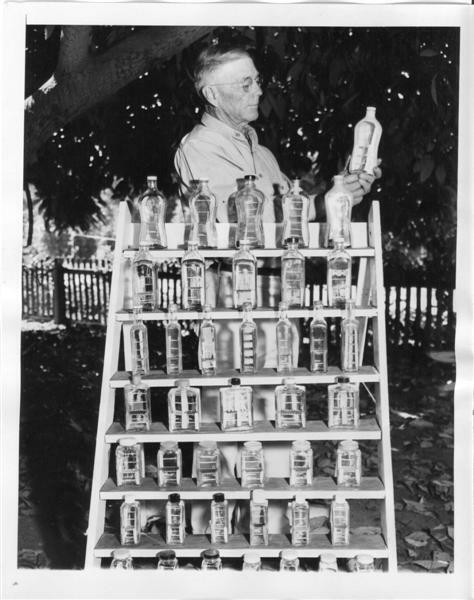 Nothing else is know about this man and his work at this point except what can be leaned from a photograph taken of him and his bottles in 1953. 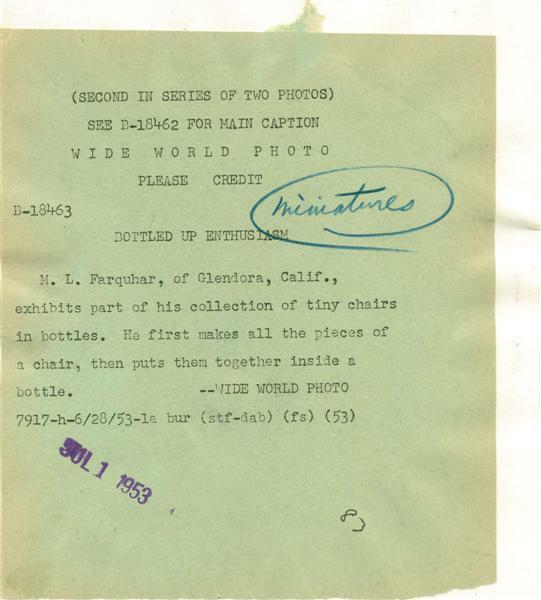 The picture shows Mr. Farquhar holding one of his bottles and a stand with a display of 41 additional chairs, ladders, and similar objects built in different shaped and sized bottles. Additional information is provided on the back of the photograph as shown below. If you have any information about this man and his work I would appreciate it if you would send me an email or pictures by using the "Contact Us" button on the menu bar.